Amyotrophic lateral sclerosis (ALS) is the most common of the five motor neuron diseases, it is characterized by progressive degeneration of the upper and lower motor neurons of the spinal cord. 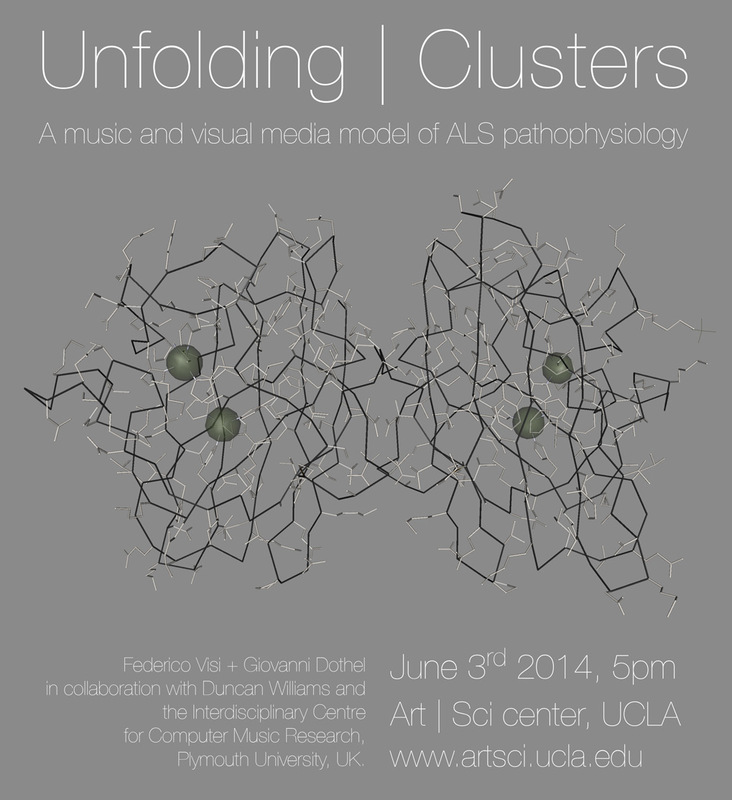 This interdisciplinary project presents a way of employing music and immersive media in order to illustrate the biomolecular processes behind the progress of ALS and thus help raise awareness in the greater public. This work is an international collaboration between the David Geffen School of Medicine, University of California, Los Angeles, USA, the Dipartimento di Scienze Mediche e Chirurgiche, Università di Bologna, Italy, and the Interdisciplinary Centre for Computer Music Research, Plymouth University, UK. Supported by the Santander Postgraduate Internationalisation Scholarship. Learn more about the Interdisciplinary Centre for Computer Music Research (ICCMR) - Plymouth University and Federico Visi.